Fuel Tank Capacity: .75 US gal. Front Wheel Travel: 6.5 in. Rear Wheel Travel: 7.1 in. *All designed to provide the rider with a more manageable, smoother power with reduced “power pulses”. 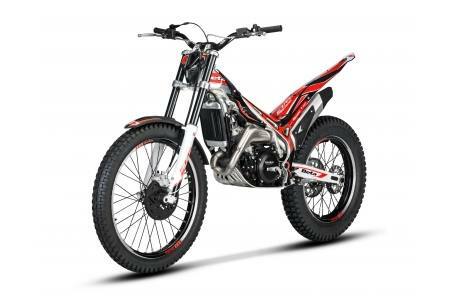 2018 Beta Motorcycles Evo 80 Jr.
2018 Beta Motorcycles Evo 80 Sr.